Location: The eastern edge of Piazza del Popolo, a bit south from the Flaminio metro stop. 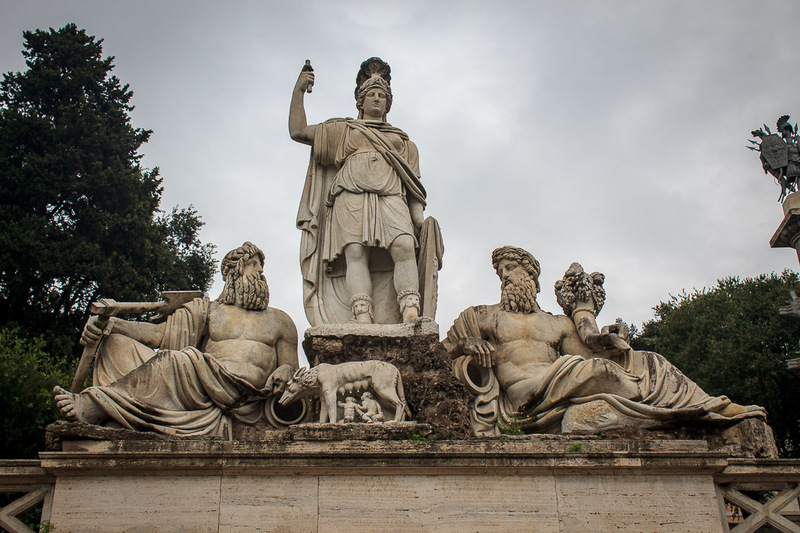 The fountain of Rome Between the Tiber and the Aniene, designed by Giovanni Ceccarini, found on the eastern side of Piazza del Popolo against the boundary wall of the piazza features the goddess of Rome in the center with her lance and helmet, with allegorical figures representing the river gods Tiber (holding a cornucopia) and Aniene (a tributary of the Tiber) on either side. A she-wolf lies at her feet suckling Romulus and Remus, the founders of Rome. A small pedestal fountain is below the statues, which overflows into a large pedestal fountain beneath it, which overflows into a large basin beneath it. At the top of the edges of the basin are sets of two fish with their bodies twisted around each other. 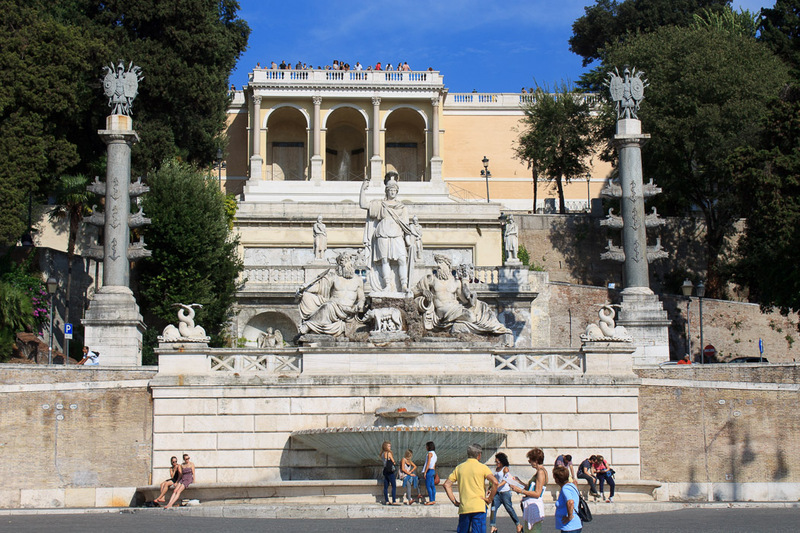 Behind this fountain you can climb steps that lead to the Villa Borghese gardens at the top of the Pincian Hill and can get a breathtaking view of the Piazza del Popolo and the city beyond, including St. Peter's Basilica. See all Rome Between the Tiber and the Aniene photos.